If you have not seen the headlines in the news lately many of you will be unaware that local authorities are now threatening monthly bin collections, causing outrage amongst many residents who are already forced to live with smelly, overflowing bins and the flies and rodents attracted by the uncollected refuse. 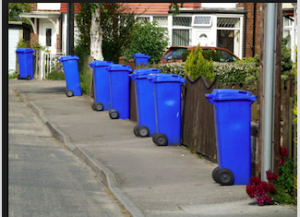 Councils have said increasing the amount people recycle and their financial constraints were the main reasons behind reducing the frequency of general bin collections. But MPs have warned three and four weekly collections were a “health risk”, arguing that EU green targets were merely “an excuse” for cuts. Tory MP Andrew Brigden said: “Councils can achieve very good recycling rates on fortnightly bin collection cycles, so that can’t be used as an excuse to move to monthly collections. “Anything less than fortnightly poses a health risk as it will attract flies and other pests, and create an undesirable smell. The situation has become so desperate in some areas where monthly bin collections are now in place, that residents have resorted to burning waste or taking it to work. But why has this occurred in the first place? Britain does not have the requisite infrastructure to recycle its own plastic waste, so it is sent abroad and for the last 28 years Britain has relied on China as it’s dumping ground for it’s problematic plastics, but in November 2017, China said enough. The country closed its doors to contaminated plastic, leaving the exports to be absorbed by neighboring countries like Vietnam, South Korea, and Thailand. And without the infrastructure to absorb all the waste that China is rejecting, the plastics are piling up. Between now and 2030, 111 million metric tons of trash—straws, bags, water bottles—will have nowhere to go, according to a paper published in Science Advances on Wednesday. That’s as if every human on Earth contributed a quarter of their body mass in mostly single-use plastic polymers to a massive, abandoned pile of garbage. But just to confuse the situation even more for householders the latest headlines in the Telegraph are: Councils will tell households to bin plastic as recycling goes into reverse. I don’t know about you but as a country we seem to being going backwards and just what have we been doing with all the money the waste has generated in the last 28 years? If you need help with an emergency bin collection, then please contact us.